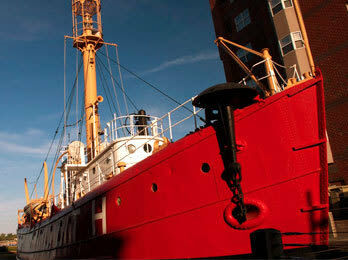 Built in 1915, the Lightship Portsmouth served for 48 years at sea. In 1964, she retired to Portsmouth and was designated a National Historic Landmark in 1989. Now a museum, the Lightship Portsmouth gives a first-hand experience of life aboard a lightship.